Explore Italy's best kept secret - a place bursting with history while cycling through stunning and unspoilt beauty! This interesting and eclectic region is steeped in history and has been governed by the Greeks, Romans and Spaniards over the centuries, each leaving their own distinctive mark, from local dialects and flavoursome cuisine to unique architecture. 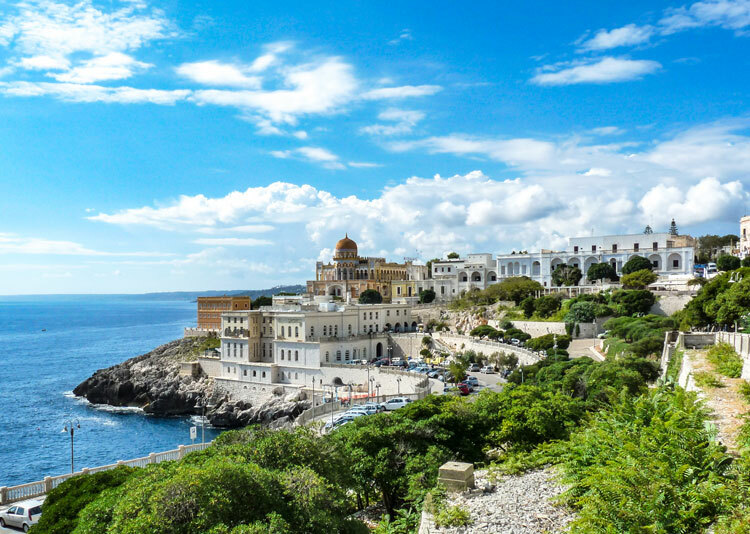 Our route starts in Lecce, the “Florence of the South”, heading south along the Adriatic coast and the heel of Italy then looping back up north along the Iolian coast and cross country through ancient olive groves, whitewashed hilltop villages toward Alberobello, a town made up of Trulli houses. You'll be exploring on 21 gear touring bikes, through a mixture of flat and rolling countryside, mainly on quiet country roads with coastal views. We also run this tour on a self-guided basis if you prefer to navigate yourselves using route notes and maps. Just contact us with your preferred starting date and we can check availability for you. The post Customer Story: Exploring the ‘heel’ of Italy appeared first on Skedaddle Blog.